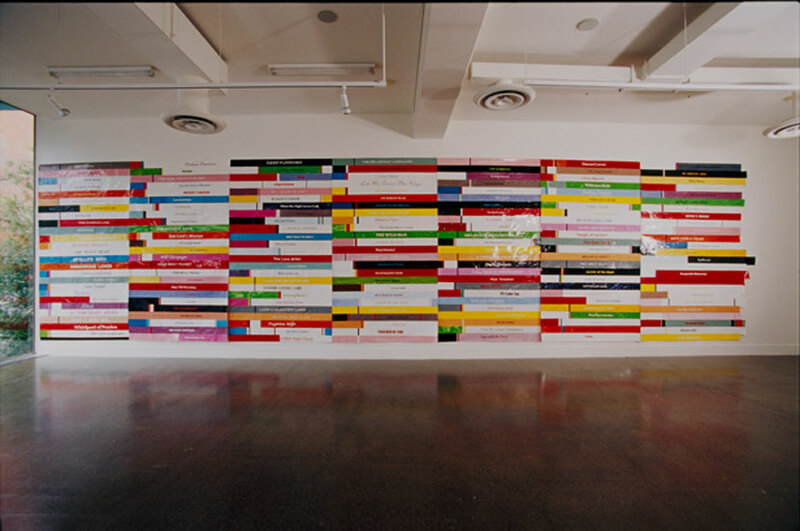 Letters, Lies & Alibis was created for Non-Stopp, a two-person exhibition by Cornelia Schmidt-Bleek and Louise Paramor at Project Space, RMIT University, Melbourne. 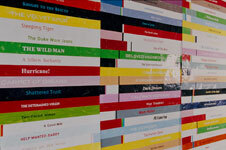 Letters, Lies & Alibis is a large hand constructed wall text collage assembled from pre-hand gloss painted paper. The texts used are selected book titles borrowed from Mills and Boon romantic novels, which are blown up in scale with original font and book spine colourings faithfully maintained. 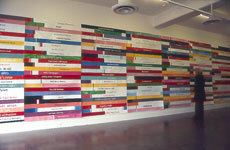 The entire work employs approximately 300 of these titles and completes one wall in the gallery measuring 15 x 2.5 Metres. This piece is a celebration of the dynamism of language drawn from a literary 'low -brow' source and is a conversion of the banal into a finely tuned and highly aesthetic ensemble. 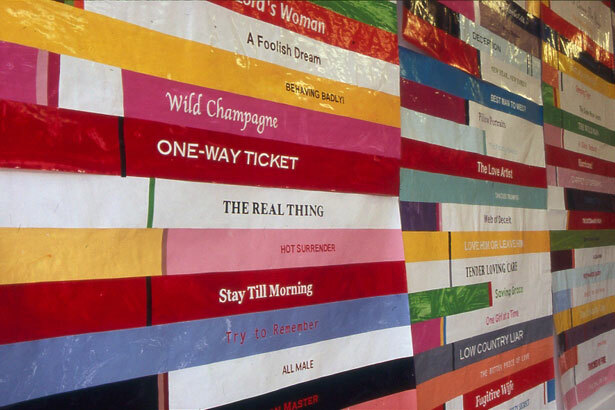 The physical hand-made nature of the realisation of the work is designed to reiterate the subject matter of the texts, which embody a broad range of human emotion. 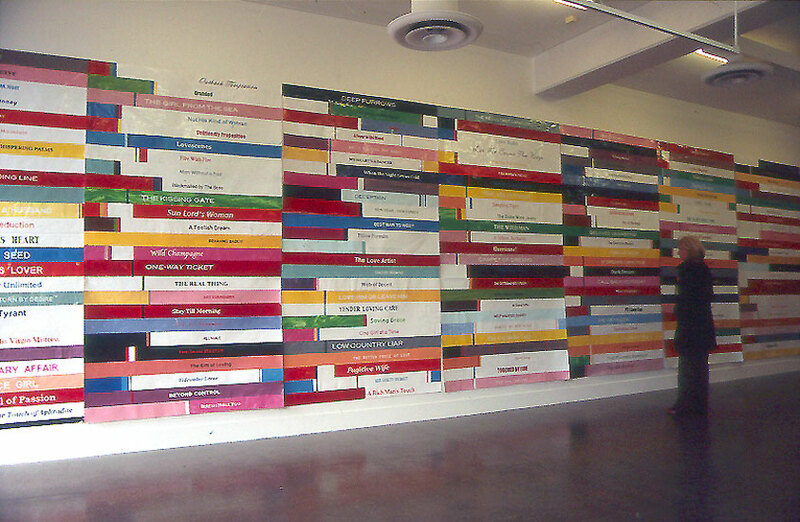 Letters, Lies & Alibis is owned by the Art Gallery of Western Australia. 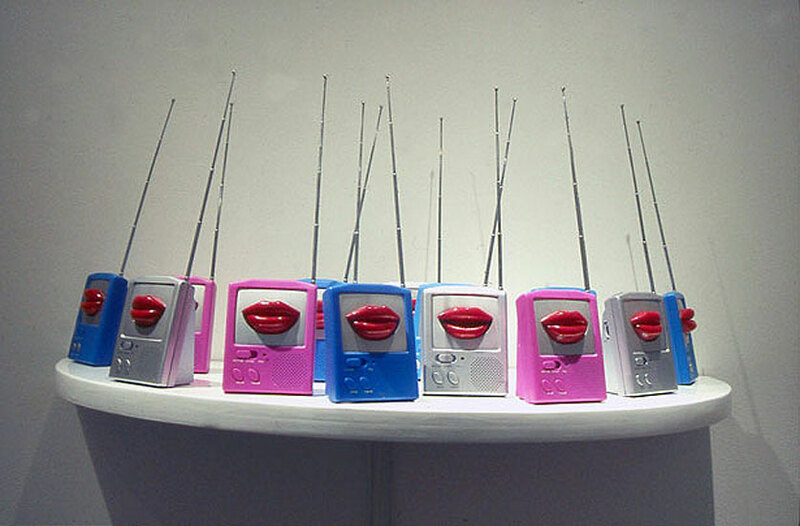 The small back gallery showcased a wall shelf sculpture entitled Yabba Dabba Dabba, which comprised 12 bought radios featuring moving lips. 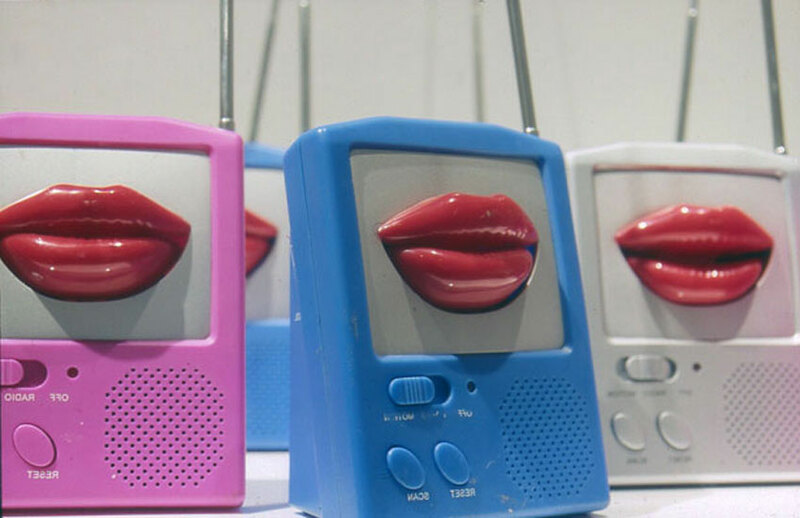 The radios were tuned in to different channels and together created a cacophony of jumbled noise.